Take a step closer to your ideal body this summer with Power Mac Center as the premier Apple partner takes the lead in promoting a tech-assisted healthy lifestyle. Kicking off its “Shape Up This Summer” series was a health and fitness talk dubbed as Rediscover Wellness held at Power Mac Center TriNoma. Rediscover Wellness motivated audiences to embark on a physical lifestyle and dive deeper into their fitness journeys. Present in the event were celebrity fitness ambassadors Alexander Diaz, Mari Jasmine, and Maureen Schrijvers, who shared professional advice and techniques in achieving their own body goals, as well as personal experiences in rediscovering wellness. 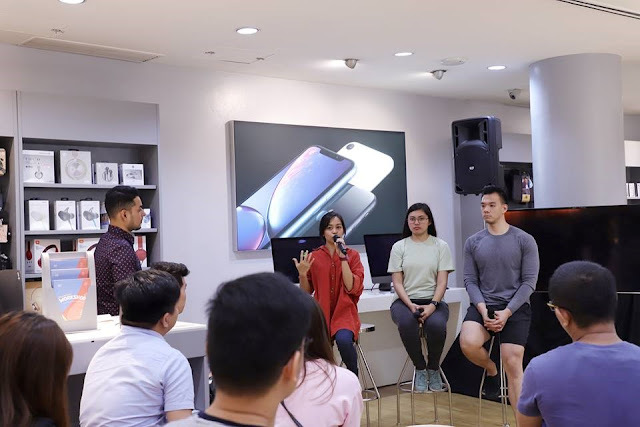 Also weighing in on the discussion were PMC lifestyle partners including Apple Certified Trainer Kriszette Oyardo, nutrition specialist Madelene Calalo, and yoga instructor Ron Habla, who talked about Apple’s fitness tech products, proper nutrition methods, and yoga workout routines. “The road toward physical fitness is a tough one, but through our ‘Shape Up This Summer’ series, we at Power Mac Center wish to inspire everyone to take on new healthy habits and routines and ultimately live a healthier lifestyle. 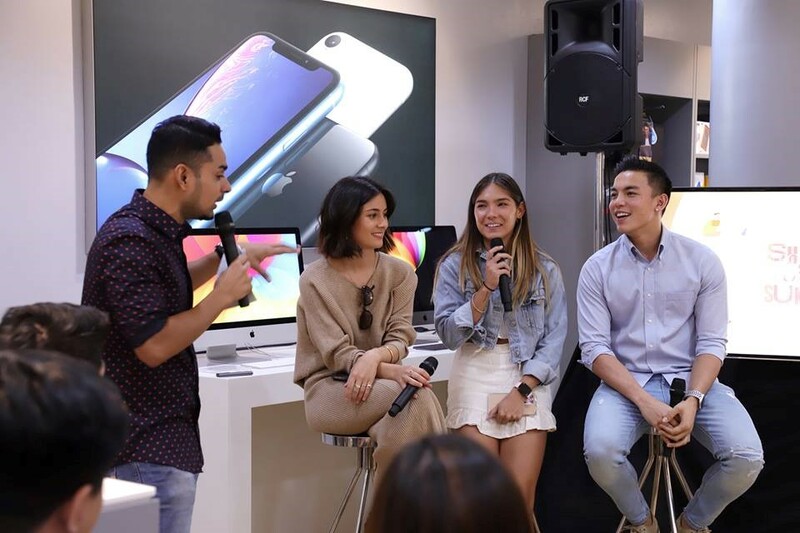 You can always count on us to bring the latest smart devices that make any fitness journey lighter,” said Power Mac Center Director of Product Management and Marketing Joey Alvarez. As a Premium Apple Reseller, Power Mac Center carries various Apple products that help boost any fitness journey. With apps that help keep track of activity, mindfulness, nutrition, and even sleep, it is now easier to follow through on fitness goals with the help of smart devices like the Apple Watch series and iPhone series, and accessories like the AirPods, available at Power Mac Center. 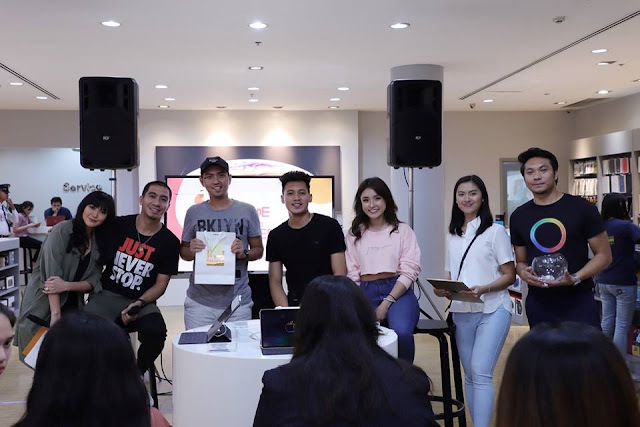 Running on all weekends of March, the “Shape Up This Summer” series continuously features fitness ambassadors and PMC lifestyle partners who aim to inspire through spreading personal tips and stories on achieving their fitness goals this summer. Following Rediscover Wellness was another health and fitness talk called Maximize Performance featuring PBA players LA Tenorio and Scottie Thompson and celebrity Sarah Carlos. It was held at Power Mac Center Greenbelt last March 16. Upcoming events include Enhance Mobility, a training session on March 24 at the Saddle Row, Power Plant Mall and Build Strength and Power, another training session on March 30 at Anytime Fitness in Banawe, Quezon City. The events are all open to the public. To join, register at <https://powermaccenter.com/shapeupthissummer/>. Lucky participants will win Power Mac Center gift certificates, coupons, and fitness products from PMC lifestyle brand partners. The “Shape Up This Summer” series is part of Power Mac Center’s ongoing healthy lifestyle campaign #NoExcuses. The campaign was made possible by brand partners Adam Elements, OtterBox, SOUL, Anytime Fitness, Saddle Row, LifeScience, Urban Ashram, and Isabel’s Dewy Morning Greens. Find more about PMC’s healthy lifestyle advocacy by visiting the website or following its Twitter, Facebook, and Instagram accounts.